It's National Poetry Day here in the UK, with this year's theme being "Heroes and Heroines". I've got a poem entitled "Who Was That Masked Woman? "about a house husband married to a superheroine that's appearing soon in the Scottish PEN newsletter. 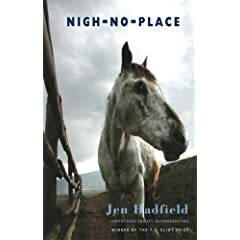 In the meantime if you are looking for a good poetry book to read then look no further than Jen Hadfield's "Nigh-No-Place" from Bloodaxe books, which I'm currently reading and picking up a few new words in Scots and the Shetland dialect that might appear in my own work eventually. Blashey-wadder? Mmm, like that one. Now where can I put it?